zakiyyah is using Smore newsletters to spread the word online. Bobsleigh is a winter sport, in which teams race down narrow, twisted ice tracks in gravity-power sleds. 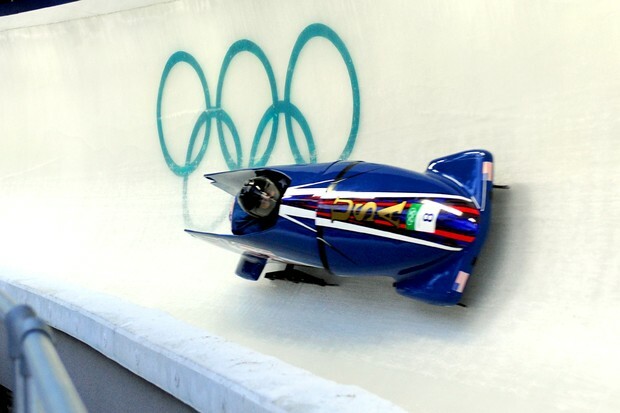 See the complex models of airflow and turbulence that are giving a leg up to the U.S. Olympic bobsledding team. 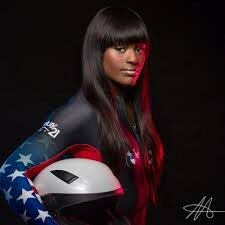 In the 2014 Winter Olympics, there is one athlete that has caught the attention of many, including me, not only because we come from the same place, but because of her passion to be better. She definitely has her eye on the metal! The equipment used for this sport are starter shoes, brakes, push handles, steering control, and your two man or four man sled. What would this sport be without these vital items? The Jamaican bobsled team knows how frustrating problems at the Olympics can be. The team arrived in Russia with a winning attitude, but their equipment didn't come with them. How was this problem solved? A lever is lifted to lower metal teeth into the ice. 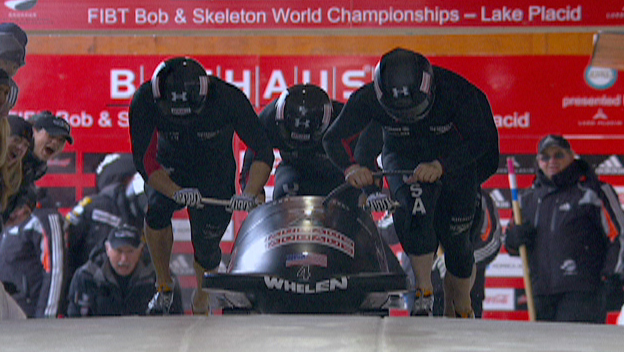 Has Science and Technology Improved Bobsleigh? KRASNAYA POLYANA, Russia — Michael Scully got into a bobsled on a late autumn night in Lake Placid two and half years ago with idyllic wonder flitting in his mind. 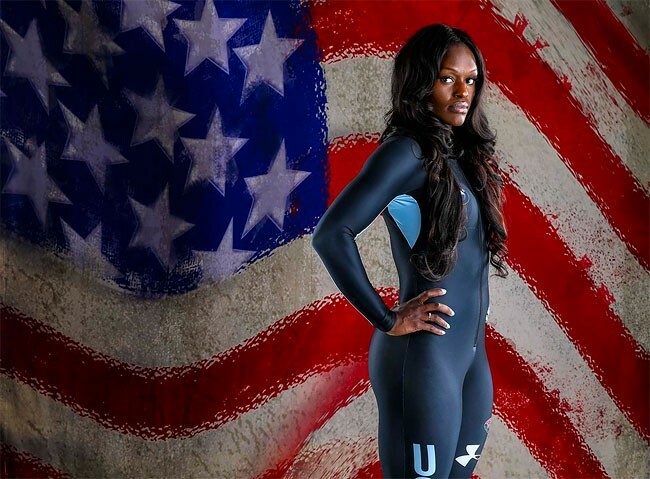 The U.S. bobsled team will be going for gold using a bobsled engineered with pinpoint precision exclusively for Team USA by the Bo-Dyn Bobsled Project. 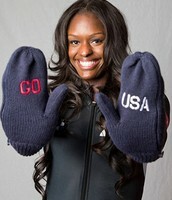 Aja Evans was officially selected to compete in the 2014 Sochi Olympics. 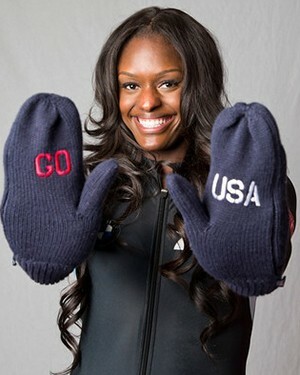 Evans transitioned to bobsledding in 2012, after being a five-time All-American and three-time Big Ten champion at Illinois. She started to shine after she broke the state record by scoring 794/800 points. She then later won the National Push Championship title in the 2012-2013 season. In 2013, she became the first athlete that has ever scored a perfect 800/800 and won her second National Championship. 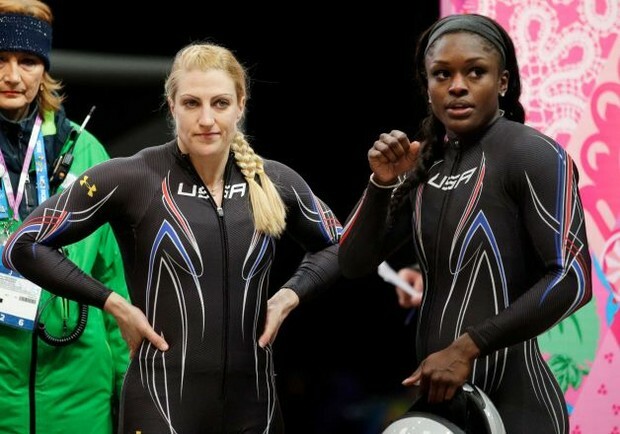 What Inspires Olympic Medalists Elana Meyers and Aja Evans? 1. Canada 1 (Kaillie Humphries, Heather Moyse), 3:50.61. 2. United States 1 (Elana Meyers, Lauryn Williams), 3:50.71. 3. United States 2 (Jamie Greubel, Aja Evans), 3:51.61. 4. Netherlands 1 (Esme Kamphuis, Judith Vis), 3:52.27.